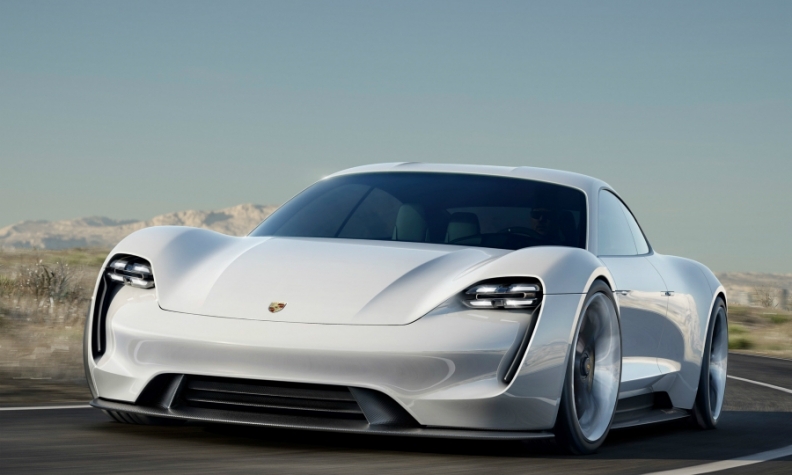 Porsche is adding 1,000 new jobs to help it build the Mission E, shown, its first EV. Porsche finished last year in position to retain the title of world's most profitable automotive brand. That success is one reason that despite the fallout from parent Volkswagen Group's emissions-cheating scandal Porsche plans to add jobs rather than cut them. CEO Oliver Blume will need the extra employees to help Porsche produce its first full-electric car. He spoke about that and more with Automotive News Europe Correspondent Christiaan Hetzner. 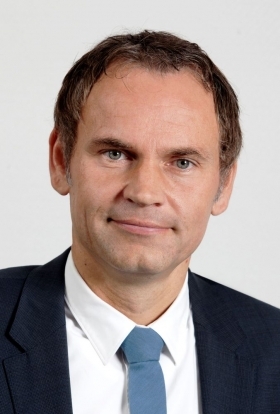 Volkswagen Group will lower its capital expenditure ratio. Are you affected? Drawing conclusions based on our annual spending isn't sensible, since our budget is event-specific and heavily targeted toward new model line launches, like the 1 billion euro overall capex investment in the Mission E [electric car]. Our recent [infrastructure] expansions, such as the new engine plant, mean we no longer face capacity constraints. Sister brand VW hopes for a productivity boost by cutting 23,000 from its headcount in Germany. Does Porsche also need to improve to guarantee its minimum 15 percent operating margin target? We consider our goal of 6 percent annual productivity gains in manufacturing to be appropriate and achievable with our workforce, so that will remain in the coming years. Our profit margin reached 17.4 percent in the third quarter of 2016, allowing us to retain our position as one of the most profitable automobile manufacturers in the world. Incidentally, the Mission E will lead us to add more than 1,000 new jobs at Porsche. After exceeding your 200,000 global sales target in 2015, three years ahead of schedule, what comes next? We intentionally decided against chasing after another volume target. Enthusiastic customers, a solid return and secure jobs are more important to us than unit sales. Our 0.3 percent share of the global market will likely not change in the future, though. Do you need to acquire a strategic supplier for the Mission E like you did for the Panamera? Its all-aluminum exterior would not have been possible without Kuka's expertise. At the moment, I don't see any, but that can change. The Kuka deal was important since about 90 percent of all sheet metal we use at Porsche will be aluminum in the future and we needed their toolmaking expertise in-house. Main Challenge: Ensure Porsche is strategically positioned for the move to low-emissions vehicles. Oliver Blume: "I expect full-electric vehicles to make up a percentage share of our sales in the significant double-digit range by 2025." Can you give a forecast for your powertrain split in 2025? We will carefully monitor customer demand to have the right mix for each market, whether that be combustion engines or plug-in hybrids. In the future though, I expect full-electric vehicles to make up a percentage share of our sales in the significant double-digit range by 2025. With the Mission E due to become your sixth product line, Porsche only needs one more to ensure you have a major new launch every year. What are your plans? We have plenty of ideas for derivatives of existing lines, for example next year's new estate bodystyle for the Panamera. As far as an entirely new model, we are concentrating solely on the Mission E for now and will have to see whether it's sensible to expand the range further in the next decade. Porsche says 70 percent of all cars it ever built are still in operation. What are your plans to monetize the data generated by your affluent Porsche owners? Starting with the launch of the new Panamera, our customers can now receive a Porsche ID, where you can register your own personal user profile -- a very important first step for developing digital business models later on. Our customer book is extremely valuable so whatever ideas we may have, Porsche will control the user interface and the data will remain secure and confidential. But it is more than just collecting and commercializing data. It is about designing an interactive dialogue with our customers, from which they will get a benefit too. VW Group is reducing its motorsports commitments with Audi pulling out of endurance racing after 18 years and VW brand leaving rally car racing. Are you re-considering, too? No, we aren't. The weeks following our Le Mans victory were the strongest Porsche ever had in terms of sales, so customers reward our success on the track. More importantly, though, motorsports is a long-term investment, and we're extremely pleased with the results. But Porsche enjoyed one record year after another between 1998 and 2014 even when it wasn't racing. We apply a lot of developments from the track into our road cars as well, such as the Mission E's 800-volt technology. Endurance racing is the best laboratory to test innovations under extreme conditions. Roughly the same number of kilometers are driven during the 24 hours of Le Mans alone as over an entire season of Formula One.